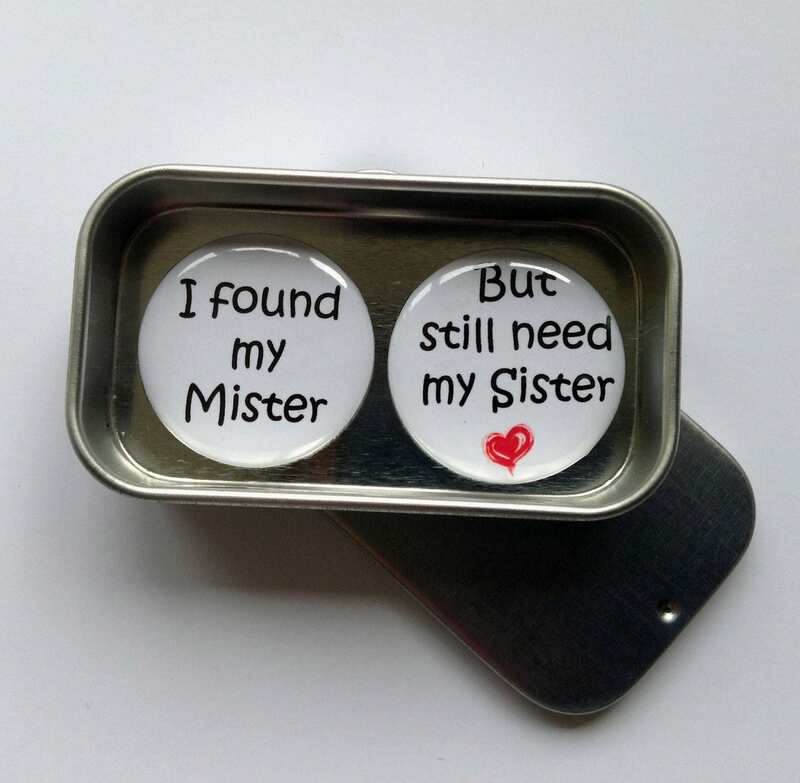 I Found My Mister, But Still Need My Sister magnet gift set with tin. A lovely keepsake, momento and great alternative to conventional cards. Say It With Magnets! Perfect Sister gift. 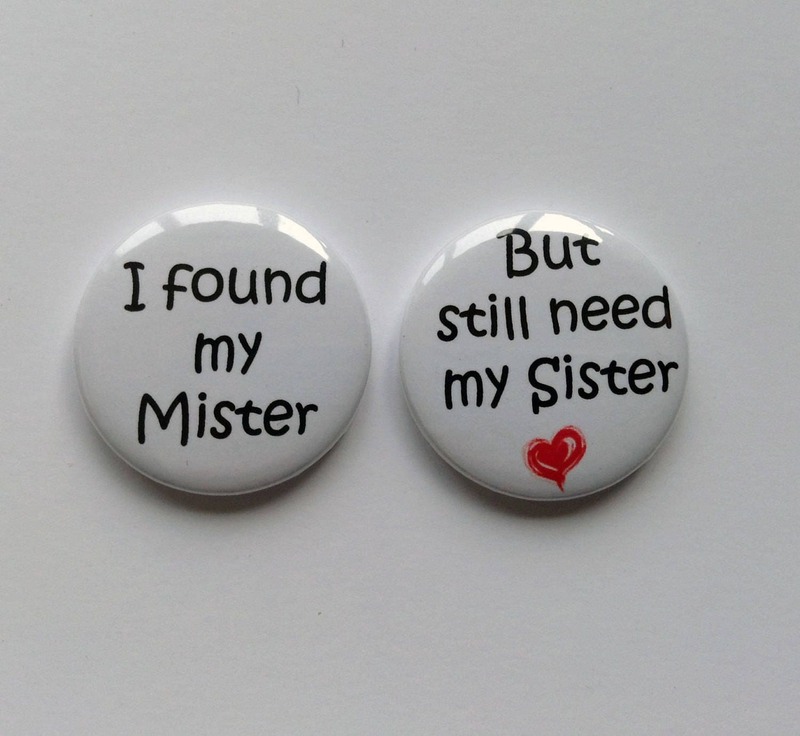 Handmade, these lovely magnets are in white, with black text and red heart. 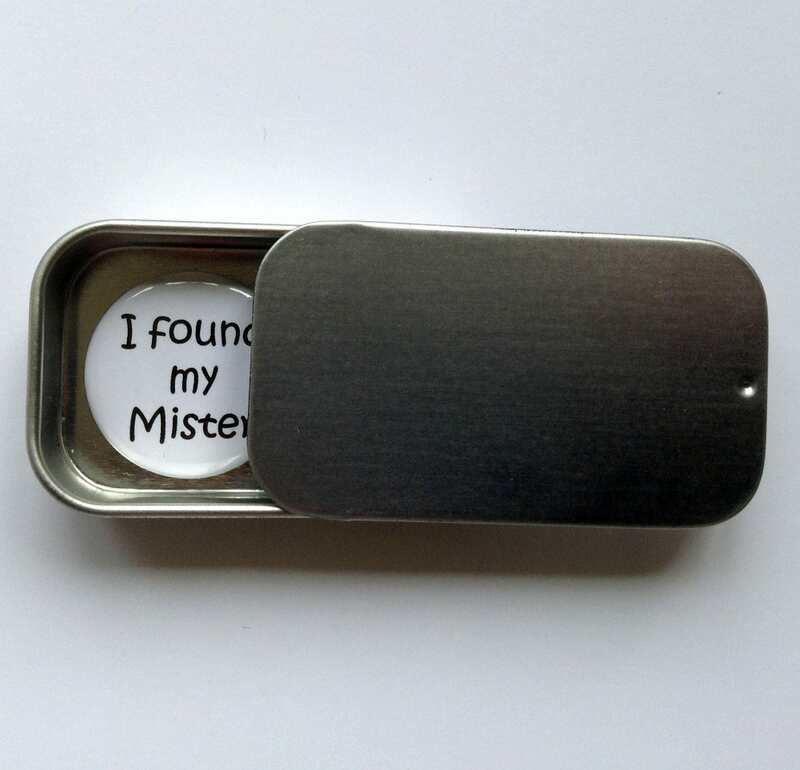 The magnets are 25mm in diameter and each set contains 2 magnets in a gift tin, with sliding lid, and measure 51mm x 26mm x 9mm.